We believe in the Trinity, we proclaim the traditional creeds of the church, we believe Christ is truly present in the bread and wine of communion, that baptism ushers us into new life with God, that sins can be forgiven and that eternal life comes to all who believe. Martin Luther’s revolutionary thought at the turn of the 16th century was that salvation is earned not through what we do, but is given as a free gift through faith. Grace frees us from the notion that we never can be good enough, smart enough, successful enough, or faithful enough to earn God’s love. Instead we come to God as we are and are offered new life. Freed by grace, we cannot help but want to serve our neighbor. Lutherans reach out to help a world in need. Through service we seek to transform our world into the place God intends it to be. 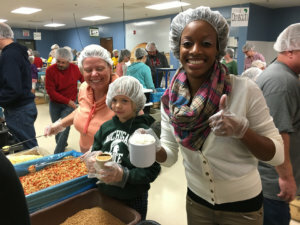 Redeemer sponsors and participates in many service opportunities throughout the year. Lutheran worship tends to follow a set order, called a liturgy. 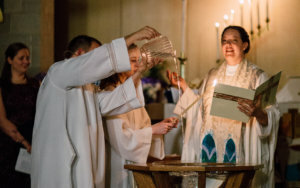 Liturgy literally means, “the work of the people.” While we follow the same patterns Christians have used in worship for hundreds of years, we create a service that is relevant to current needs and reflects present issues. Redeemer offers worship in both traditional and contemporary styles. Redeemer strives to be a church where all are welcome. At communion, in addition to bread and wine, we offer gluten-free bread and grape juice. We are involved in homeless ministry as a PADS site, we welcome NAMI, AA, and Al-Anon groups to use our space. We welcome same gender weddings and have offered anti-racism classes. Our planned renovation will improve accessibility through the addition of a ramp, improvements to our elevator and bathrooms, and the addition of a single-stall gender-neutral restroom on each floor of the building. There are many different organizations of Lutherans in our country and in our world. 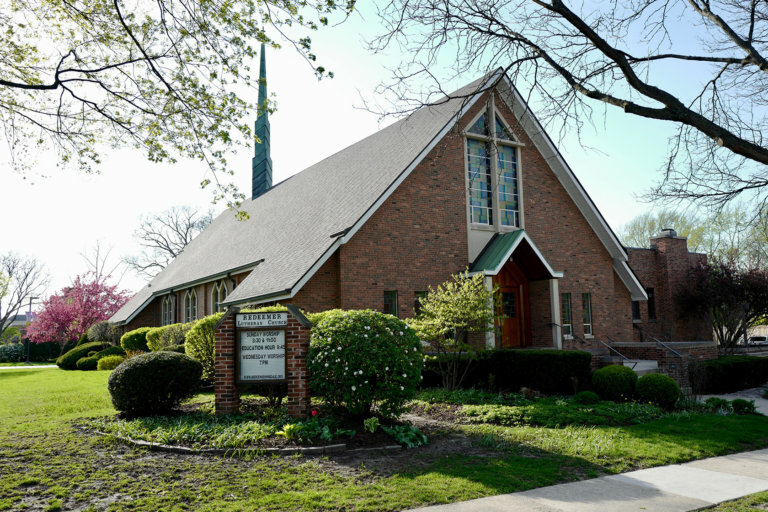 Redeemer Lutheran Church is part of the ELCA, the largest of the Lutheran organizations in the United States. As a part of the ELCA, Redeemer participates in and benefits from local and national programming and organizations. We are fortunate here in the Chicago area to have an ELCA seminary and our ELCA national offices.